This electric peanut butter maker lets you make homemade delicious peanut butter within minutes using any kind of nut you like, including almonds, cashews, peanuts, macadamia nuts, hazelnuts, sunflower seeds, and more. 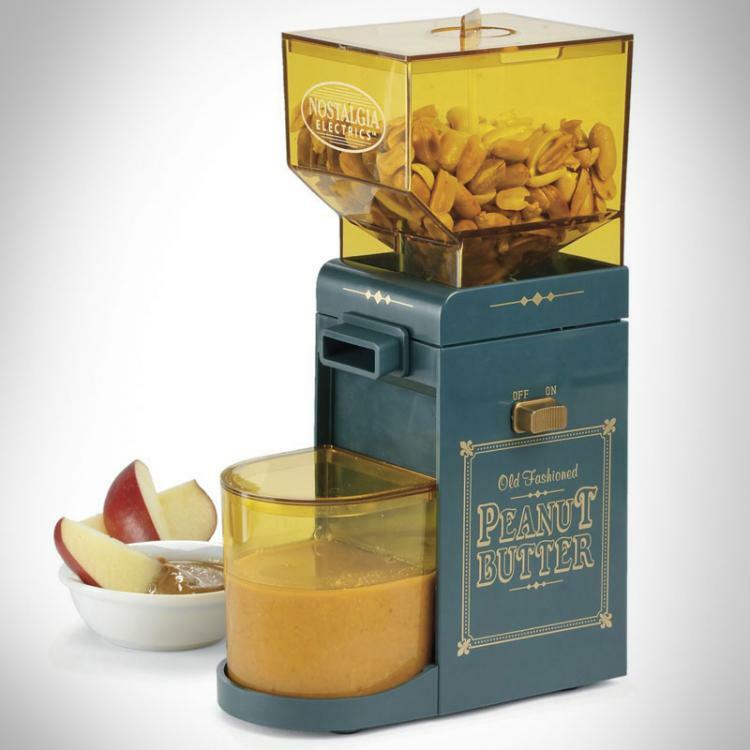 No longer will you need to buy that gross store bought peanut butter that's probably filled with chemicals. 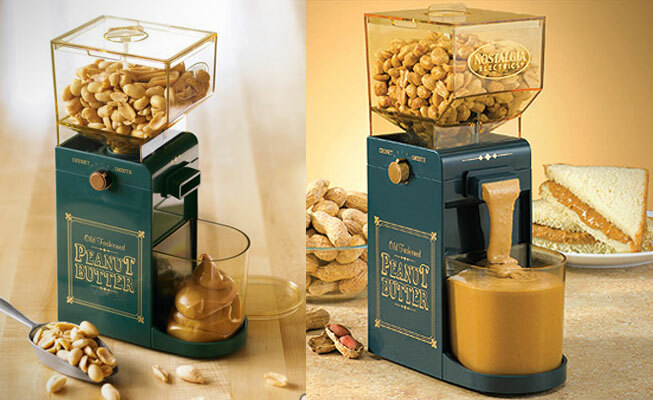 To use it simple, just toss your nuts into the container, flip the switch, and you'll have creamy peanut butter oozing out of a crevice ever so slowly within seconds. 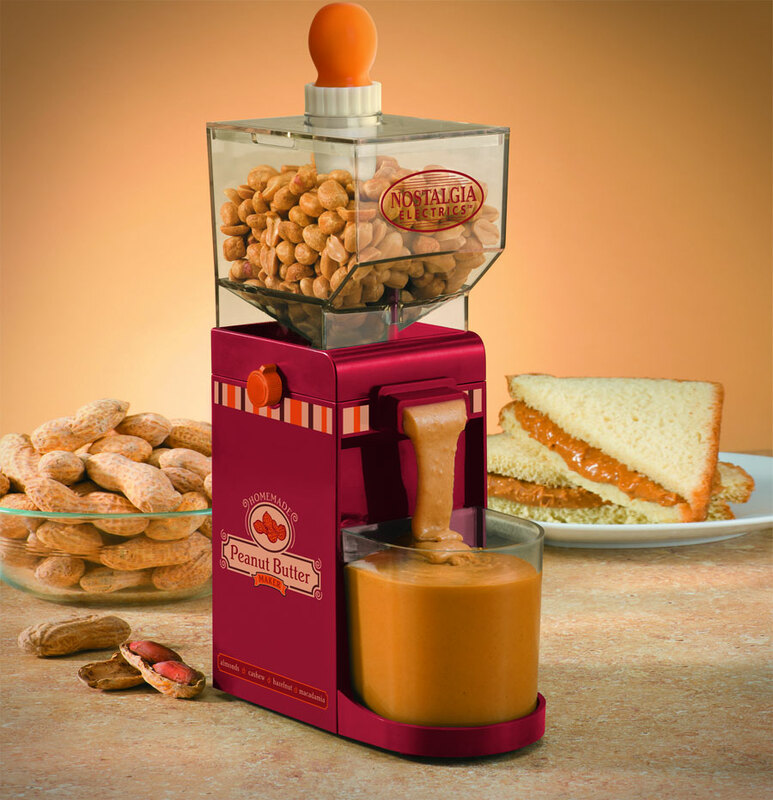 The electric peanut butter machine uses 150 watts of power, is built to North American Electric Standards, measures 6.1 inches x 3.2 inches x 9.8 inches, and weighs 3 lbs. 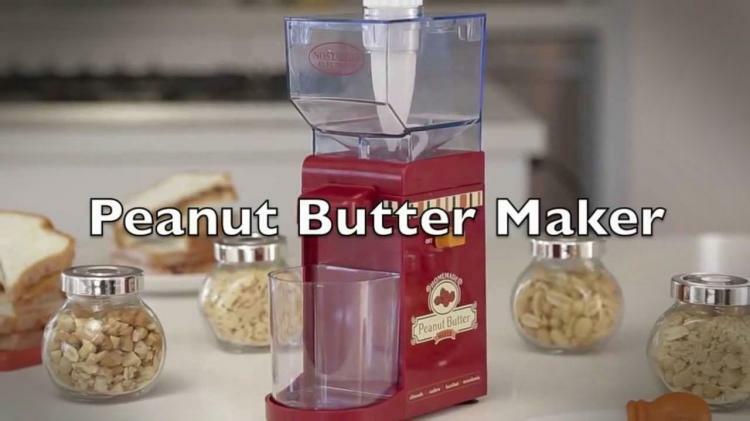 Check out the electric peanut butter maker in action via the video below.